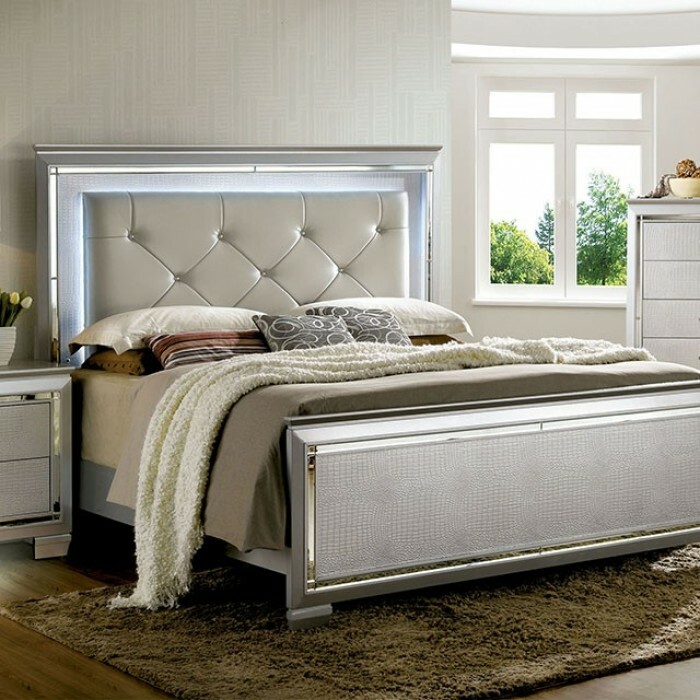 Specifically designed to accentuate a glamorous feel, this bedroom collection brings a combination of class and contemporary style to your bedroom. Crocodile embossed veneer and silver lining panels stand out throughout every piece while the button tufted headboard adds a charming effect. The headboard has built-in LED lights to illuminate the mood.